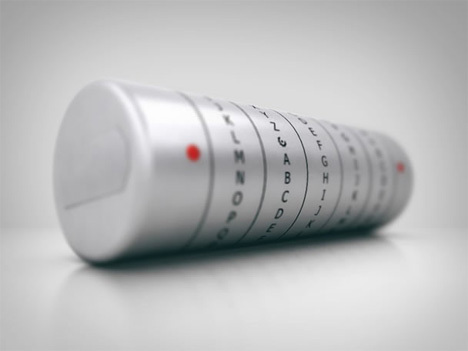 Fans of The Da Vinci Code might recognize the concept behind this ultra-secure USB flash drive. It’s called the Crypteks (as opposed to “cryptex“), and it features five spinning wheels on which all of the letters of the alphabet are printed. Spin them all to the correct password and you’ll get access to the flash drive inside. 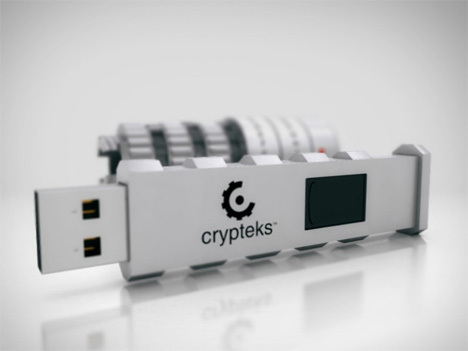 The Crypteks drive is actually locked inside of the spinning rings, giving it a high degree of physical security. Once you unlock the device and pull your drive out of the outer case, the letter wheels can all easily be reset to a new combination. There are 14,348,907 letter combinations possible – but if you manage to forget your password and lock yourself out of the device you can always send it back to the manufacturer to be reset. Once you get through the first layer of security there is the little matter of 256-bit AES Hardware Encryption to contend with – which is good for you but bad for anyone who might want to access your personal info. That password can’t be reset by the makers, though – so make it a memorable one. This cool product is being funded through Kickstarter, and it’s already got enough support to go into production. 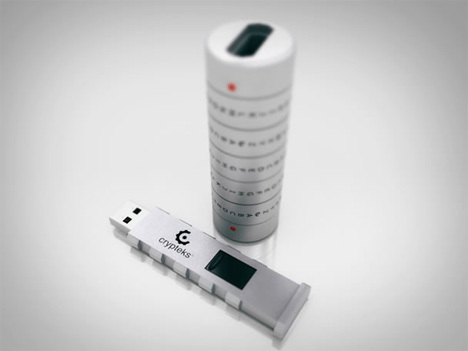 The Crypteks is initially being offered in 8GB and 16GB sizes for $130 or $160, respectively. See more in Various Gizmos or under Gadgets. December, 2011.